Everything you need to go from newbie to pro. Is the world of graphic design calling your name? 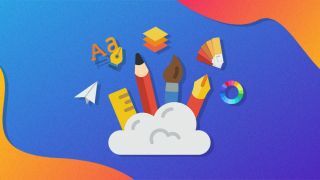 If you want to mesh your creative strengths with technology you need The Complete Learn to Design Bundle, packed with all the online courses needed to turn you into an expert designer. This bundle of courses would typically cost $1466, but it's currently available at a pay what you want price. Just pay what you're willing — if it's less than the average price you'll still be taking something home, but if you beat the average price you'll take home the entire bundle. With 65 hours of online instruction, this bundle is ready to transform you from design newbie to pro. Start out with The Complete Graphic Design Theory for Beginners Course, a course that gives you the perfect foundation for your graphic design education. Then Become a Professional Graphic Designer aims to get you prepared to turn this new knowledge into a career. Conquer Photoshop once and for all with Learn Photoshop From an Expert Designer. This course starts with the basis of the intimidating software and takes you through to the intermediate level. Once you're well-versed in Photoshop, tackle InDesign with Learn InDesign By Creating a Flip Book & Magazine. The project-based course gives you hands on learning that will also result in tangible results — your own flip book and magazine. Abobe Illustrator Master Class gets you prepped to take on this customisable program beloved by designers via a similar project-based learning method. Graphic Design Master Class and Graphic Design Master Class: The Next Level are primed to teach you the ropes necessary to work in graphic design professionally (with plenty of emphasis on Photoshop, Illustrator and InDesign). While Typography From A to Z teaches you this crucial graphic design elements and Become a Professional Logo Designer gives you the skills to create stand out logos. Get all this knowledge and be on your way to a new career with The Complete Learn to Design Bundle. It's available now at a pay what you want price here.